Many of you may have attended my seminar on Trading with Candlestick Patterns that I did back in 2016 in Singapore, Malaysia, Indonesia and Australia. Some have requested that I share more about technical analysis, so here it is. It makes perfect sense to me. If 100 people are cheering for a stock to go up and 2 people are cheering it the other way, I will definitely want to be on the side of the 100 people because the probability of them winning is higher. Hence my first rule in trading is to never trade against the trend! To begin with, stock trading is really simple because there are only 2 actions you can take, Buy (Going Long) or Sell (Going Short). To profit by going long, all you need to do is Buy Low and Sell High while to profit from going short is Sell High and Buy Low. Simple right? But how do you find that points? The first step is to understand what is a trend. A trend in stocks trading is the general direction of the price of a counter. If you have been trading stocks for a while, you will know that not every day a counter goes up and not every day it goes down. Price movement always happens over a period of time, hence the trend is also form over a period of time. An up-trending counter is one where the long term direction of the counter is up. It consistently forms a higher high and a higher low. The longer the cycle of higher highs and higher lows occur, the stronger the trend. The following chart explains an up-trending counter perfectly. A down-trending counter is one where the long-term direction of the counter is down. It consistently forms a lower high and a lower low. In a similar way, the longer the cycle continues, the stronger the trend. These sort of counter do not have a clear trend. The chart below is an example. Stay away from counters like this! Why? Since the price only fluctuates between two levels, you are going to be stuck in that 2 levels for the near future. 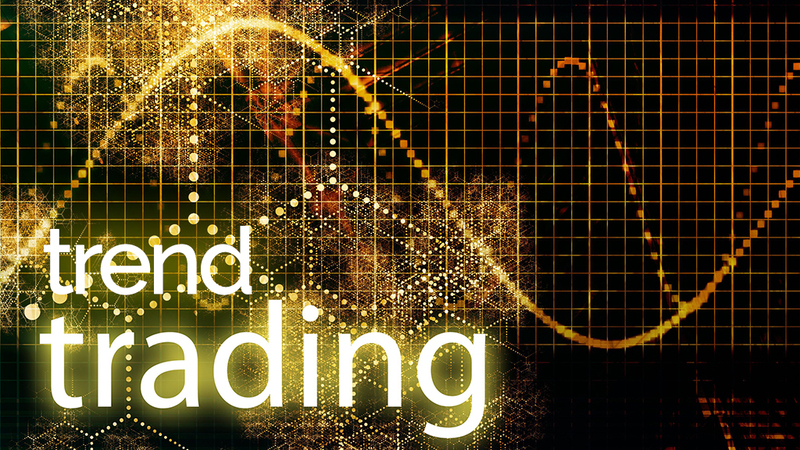 How to use trend trading in your daily trading? It is important to note that Technical Analysis is not that simple. What I have discussed here is just the baby steps in identifying a good trade. Over the course of the next few weeks, I will write more about how you can use the different aspects of technical analysis in your trading. First, open a chart of the counter you are holding on to or wish to trade. Use a 1 year period and in 5 seconds, determine the trend of the counter. Is it up? Is it down or sideways? If it is up, you only want to Long this counter. If it is down, you would only want to short this counter and if it sideways, remove it from your watchlist. If you can’t tell the trend, it is probably sideways too. For sideways counters, there is a different trading strategy called breakout strategy. You may wish to read up on that. Looking at the chart above, in October 2016, we draw the channel lines. As long as the price keeps fluctuating within this channel, the trend will be intact. Notice that when the price falls to our “Buying Opportunity 1”, it bounces back up, and when it is reaching the top of the channel, you can either sell it or ride the trend for a longer time frame. If you choose to ride the trend, then you can add-on your position at “Buying Opportunity 2″. If you sold your position earlier, you can re-enter at “Buying Opportunity 2”. Later, we notice that the counter breaks out of the trend channel, in favor of the trend. At this point, you once again have 2 options, either close off your positions at the top of the channel of use a trailing stop strategy to trail your profits. More on that in the coming weeks. As mentioned earlier, the is just your first step to technical analysis. That’s all for now folks. Stay tuned as we will be discussing more technical strategies such as candlestick patterns, Fibonacci retracement, breakout strategy and trailing profits in the weeks to come. Subscribe to the mailing list below to be the first to receive such articles in your inbox!